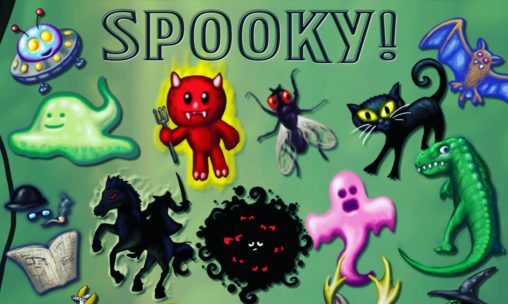 (2017-) A sticker pack for iOS devices including a lot of classic monsters and creepy creatures. Updated periodically. 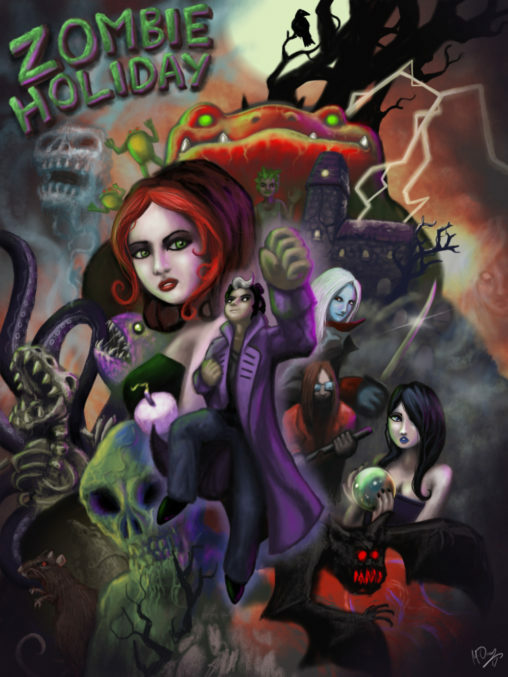 (2007 – 2008) Zombie Holiday Prologue for MacOS is 2D action game in a 16bit style with branching paths and fast action. Music, I did all graphics, music and design. (2012) I created the icons and UI buttons etc for this commercial sound, media and lighting application for productions and events. 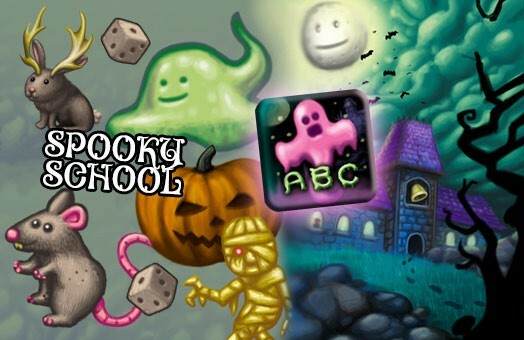 (2010) Educational ABC flashcard app for iOS with a lot of cute creepy graphics and spooky sounds.